This week was alright. 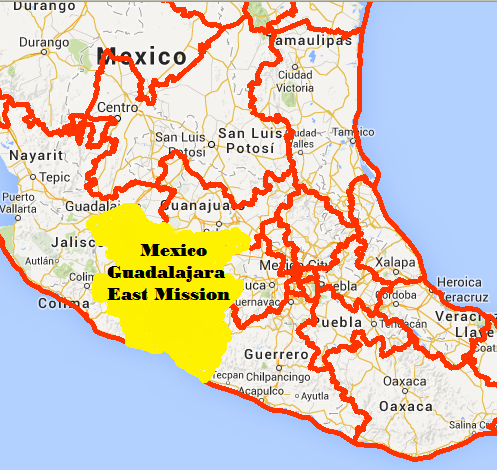 My comp is Elder Castillo from Campeche Mexico. He has 10 months in the mission. He has been a member for the church for 3 or 4 years which is cool. He likes to work hard which is good. We changed the work flow and had a lot of success. 5 investigators came to church on Sunday, which was great. We might baptize this Saturday depending if veronica can get married (You must be keeping the commandments in order to get married. She currently is just living with her boyfriend.) Pray for her! Also pray for Alejandra. She is super awesome and has a goal set for getting baptized next month. She has some problems with commandments, but she knows everything and has been going to church for months! She just needs some help with strength to overcome temptations! Pray for her as well! There are so many dang hills here, its nuts! I'm dropping weight again... but the weather here is nice! A lot cooler and windy. We have a nice house as well! It has a virgin maria on the wall! Hahahaa. We covered it with a bookcase, but its legit. The members are cool. 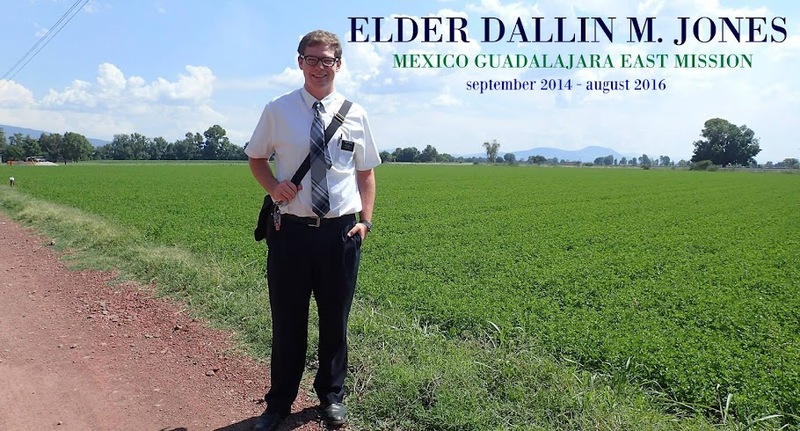 This week, Elder Christoferson is coming to Morelia at the stake center in my area, which is just 4 min away from the house to talk..... and we aren't invited! Super bummed. Oh well, first time an apostle has came to Morelia. We are visiting a cool less active family and we have a new investigator there. She is really cool. The entire family came to church and are super excited about it! I hope it all goes well. We also have two investigators that are going to Institute, which is sweet! They are 19 & 18 year old sisters, and references from a member of the Stake Presidency. We are teaching them tonight! I will be getting all of my letters/packages next week and I am so excited! Thank You all for what you have sent! Virgin Mary art in the home. If you missed the deadline to send a card for Dallin's Birthday & 1 year mark, don't forget to use his e-mail and send an E-Card! Use the Hallmark Website to send a card for free! 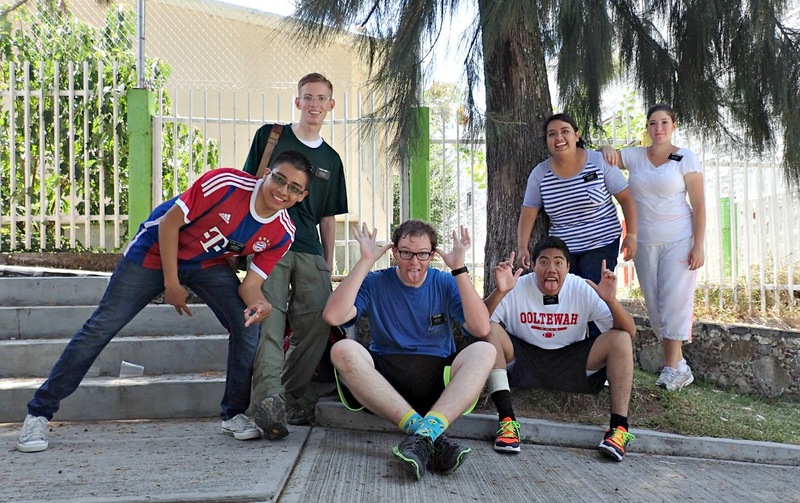 One last photo with the missionaries in Salvatierra! I got changed to Tarimbaro, which is in the same stake as Salvatierra. 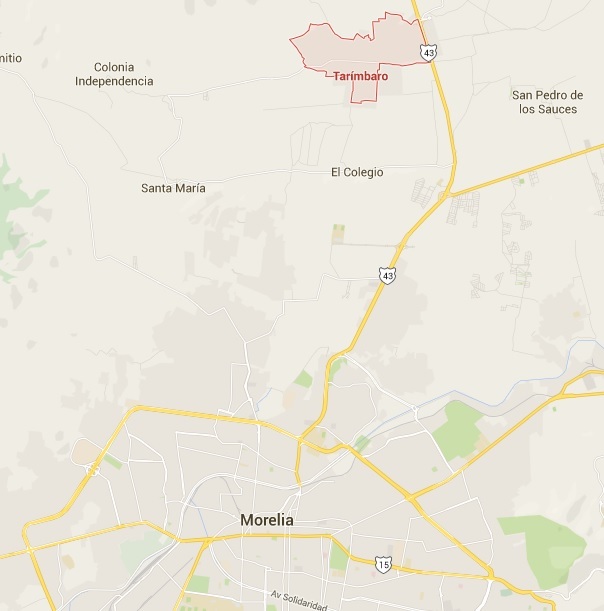 I'm basically in Morelia which is cool! My 3rd state in the mission! The week was good, we visited all of our converts and it was fun but it was kinda lame since I changed areas. They are putting a trainer there and a new missionary. 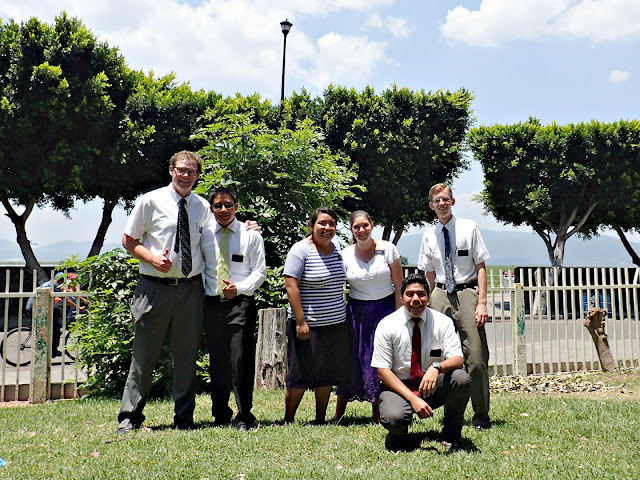 So this week, Elder Clifford and I were together from Friday - Sunday in Acambaro, which was fun. We got a ton of free bread because a member there has a bread shop and a bunch of other stores around that area. So we ate some good freaking bread! Hahaha! Plus, we were in her house and we asked to see 1000 pesos and it was sweet and she also pulled out a ton of american money and pesos! It was so fun with Elder Clifford. I swear it's the best when Americans can be together. So, they called me and told me I had changes so we had a crazy day yesterday between preparing my bags and Elder Clifford's bags, due to the fact we were in one area and my stuff was in a other area. We got to Morelia today at 1 AM. It was a very long day! So, I get here to my new area and the mission just bought this house so nothing is ready. They didn't plug their refrigerator in, so there was a ton of freaking mold! So, I got scrubbing and I cleaned that bad boy out. Having a little too much fun over the weekend with Elder Clifford! Life in the Field: P-Day Fun! This was a good week for the missionaries in Mexico! They were able to get together for meetings, and enjoy some time at an activity playing with water balloons and other fun games! Missionaries need to have FUN too! The rain has been crazy down in the area, which leads to a lot of running with little umbrellas to stay dry! So we had our district meeting and the sisters from Moroleon brought cake for my comp which was fun. As you can see, the destroyed his face with cake! Hahaha. Then my comp put a bunch of cake in the face of Hermana McBride which was great. It was a ton of fun! We were waiting for a bus and we saw a train coming so we decided to put some money on the track which was fun. The coin my companion put under, turned out super cool, and he could pop out the center of the peso! Always messing around. Later that day, we went to the wood working class which was fun, but then we ended up playing soccer with some of the kids. Then the sisters had an activity and made us some type of sweet pudding with cookies which was good. We had divisions the next day, and I went with Elder Wright which was fun. he put 150 match heads in a cup and lit it! Haha. Pyrotechnics! We also ate some pizza! We ate Dominos.... and it was amazing! American pizza blows all Mexican pizza! So today we had a District activity! We can have those now with the new mission president!!!!!!!!!! Anyways, we went to Yuriria to the lake they have there. It's super pretty but the water is ugly. Hahaha! We played soccer, and had a weird activity to eat an Oreo off our forehead and to find candy in a bowl of flower with our face... that was interesting... Afterwards, we had a water balloon fight which was sweet! 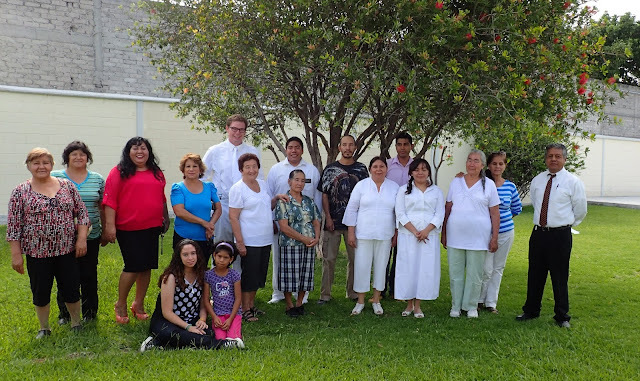 Hermana Calderon and her family. She gives the missionaries a ton of reference names, so they love her! It was another wonderful & busy week for Dallin! 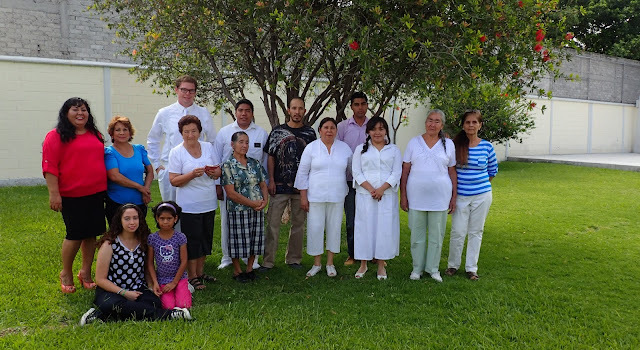 He was able to have two of his investigators be baptized and have a meeting with the new Mission President. Dallin really seems to like him and his new ideas to help the missionaries! Please, don't forget to send out letters! The information you will need is below, or on the side bar! 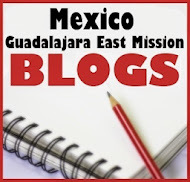 Please, do not hesitate to ask me, Becca, via the comment section of this blog, with any questions you may have as well. Well, this week was swell. We had two baptisms and it was great! On Thursday, we went to the church to get things ready for Saturday, and my convert, Apolinar, was giving a class about Carpintera (carpentry) which was cool. He showed us how to make picture frames! Apolinar is a boss! Super cool guy. He still works outside everyday on houses and makes things for fun. On Friday, we had our zone meeting which was great. We dropped a ton of rules which was amazing! Now whatever the white handbook says, is the rule! Life is better now. Plus, mission president told us to use our own common sense and be adults. This new president is my hero! I love this guy. Anyways, we have a new way of teaching too! Now we basically use the booklets that we have that talk about the Plan of Salvation and the Restoration to teach. Its super simple, but really effective. We give more of an intro, and explain the important things, and after when we leave, the investigator can read the booklet for more info. It's super simple, but we only teach whats really necessary for them to know. I really like it. The zone leaders came to our area on Friday to do the interviews, so that night we stayed up late eating hamburgers and messing around. Elder Dance and I talked a ton and talked about everything legit. Elder Dance is the man! 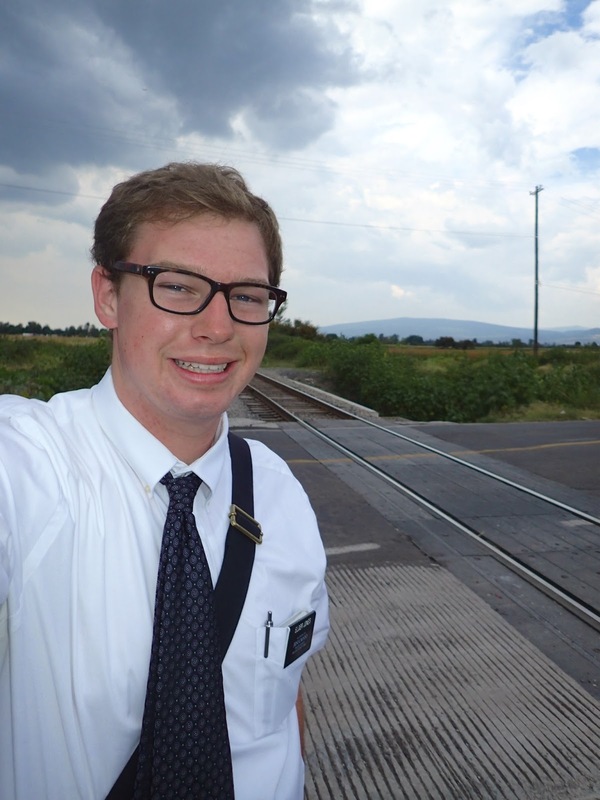 We call him Elder Guapo because he is a handsome man and he thinks it's pretty funny. We had our baptism which was sweet. I baptized Evelyn who is almost 17 and my comp her mom Ana. It went really well and overall, super successful! The sister missionaries sang with us a hymn for the baptism. It went super well! Super strong and powerful. Yesterday, we ate tamales which were super yummy. They were Northern styled so they were super spicy which was amazing! I got a bunch of letters Friday, which was amazing! I love them! Ward members to support both Ana and Evlyn at their baptism. Apolinar, an investigator, teaches wood working classes.